Based in Falmouth Marina in Cornwall, Turn to Starboard is comprised of Yachtmasters and volunteers – civilian, ex-service and serving, who use Royal Yachting Association (RYA) sailing courses to support Armed Forces personnel affected by military operations. 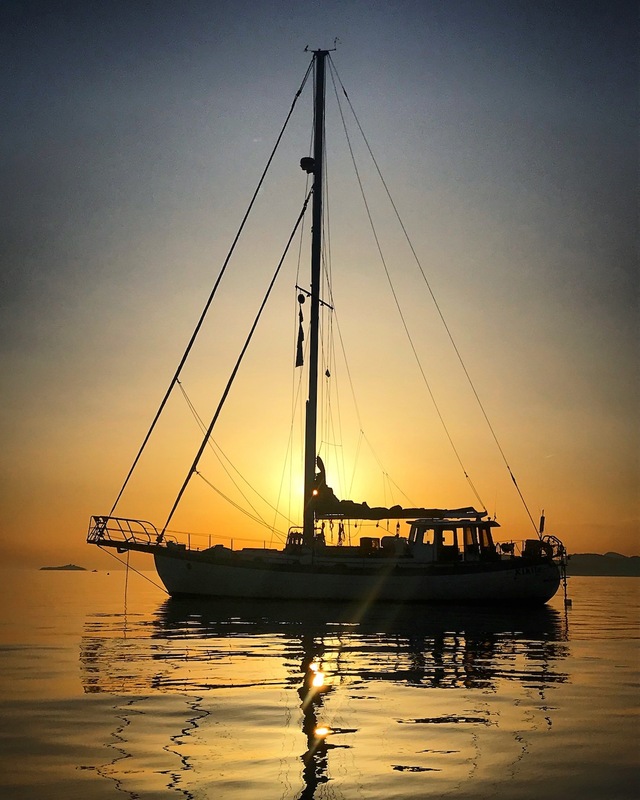 Turn to Starboard's latest adventure saw a team of six veterans delivering a 43-foot yacht from Croatia as a way for crew members to gain new skills and valuable miles towards their RYA Yachtmaster qualifications. It also provided an opportunity to deliver the boat to the UK for the new owner. During the ten week trip, the crew gained valuable experience for their Yachtmaster qualification and, most importantly, proved that neither physical nor mental injuries can hinder their aspirations. Both Armed Force life and sailing share a similar team ethos, challenging individuals to improve their team cohesion, leadership skills and adventure training. Apart from offering RYA courses and a Tall Ship Sailing experience onboard its very own 91ft Pilot Schooner Spirit of Falmouth, Turn To Starboard gives also Service members and their families the chance to spend time together onboard a skippered yacht. The charity’s Zero to Hero programme also allows participants to complete a RYA Yachtmaster and Cruising Instructor course over a flexible time period. Turn to Starboard always welcomes skilled volunteers to assist in the charity’s daily operations both on land at at sea. At the moment, the 91ft Pilot Schooner Spirit of Falmouth is in need of routine maintenance, so electricians, mechanics, carpenters, painters and riggers are needed. Volunteers with seamanship skills such as Skippers, Bosuns, Deckhants and Mates are also needed while the Spirit of Falmouth is out at sea. Skippers with Yachtmaster Offshore certification can man family sailing trips, while Yachtmaster Cruising Instructors can teach RYA courses. Specialists in corporate events, photography, film, graphic design, social media, copywriting, PR, marketing and administration are also invited to become an integral part of the charity. For more information, visit turntostarboard.co.uk. YB Tracking is a proud supporter of Turn to Starboard.